PST Sensors’ temperature sensor arrays provide the most innovative way to obtain temperature profiles. • Thermal imaging Mat (TiM) is an array of individually addresssed temperature sensors. 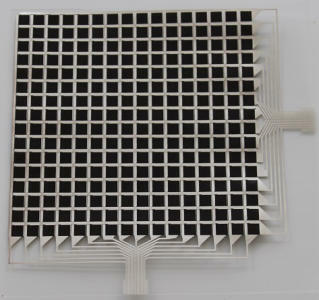 • The XY-T Array is a fully XY addressable passive matrix sensor array. • In both arrays, the individual sensor elements can have different sizes and shapes. • The arrangement of the sensor elements can be distributed in any fashion to adapt to any measurement situation.